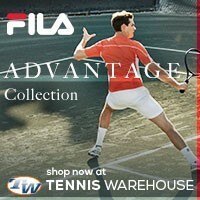 You are here: Home / Tennis Equipment / One of the best tennis strings around! 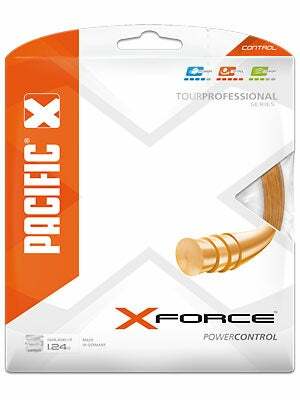 We thought we would share with you some of the best – and one of the hardest tennis strings to come by – the Pacific X Force 17. 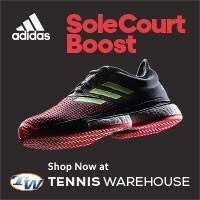 This string has a ton of spin and power, surely to take your tennis game to the next level. Beyond that, the tennis string actually looks super cool on the tennis court, it’s like this weird translucent orange color. Some of the cons about this tennis string are actually few – it’s a pretty stiff tennis string so a few things happen: 1. It’s can be kind of difficult to string onto your tennis racquet. 2. It takes some getting used to, it’s hard on the arm and you have to get used to amount of spin it generates on your ground strokes. and 3. 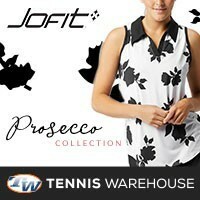 It’s nearly impossible to find, which is good – it’s a popular item for us tennis players. We only have good things to say about this particular tennis string, it’s affordable, durable, pretty (yes, pretty), and can help your tennis game reach the next level. 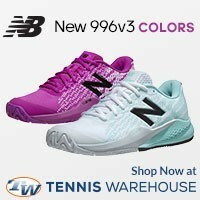 So try it out if you want, you won’t regret the Pacific X Force 17 tennis string.